Is selling your retirement plan a good idea? Can you cash in employer sponsored pension? Should I sell my pension? Is it possible to sell pension payments for cash out an employer sponsored pension for a lump sum? In selling future pension payment streams, you would get far less now in a lump sum than you would get at maturity time of the periodic proceeds. Also, by cashing in your pension, you are giving up a steady post-retirement income stream. Only Structured Settlement streams from auto accident or medical malpractice recovery or lottery win structured settlement. Please do NOT contact us about selling your pension plans. What if your employer is offering to buy out your pension for a cash lump sum now? Your employer may have good reason to offer you a lump sum instead of continuing your pension plan. A pension buyout may reduce his administrative expenses and increase the income of his business. The question is: is selling your pension in your own best interest? Let me point out some pros and cons of selling your pension to your employer, the way I see it, at least. (The discount rate has traditionally been calculated based on a 30 year US Treasury Rate; however, this has changed in accordance with new regulations by the Pension Protection Act of 2006, or PPA. The Discount Rate is a very important factor and can have a significant effect on the amount you get from your pension buyout. (To simply a bit, let's suppose you're expecting to get an amount of $3000/month in pension annuities for x amount of years per your life expectancy. Let's further assume you'll sell your pension for a lump sum and then reinvest the lump sum and it will earn you income that will last for a given amount of years if you take out the same $3000/month. Now even if this amount of years will be longer than your life expectancy - but what if you have luck and live even longer? You may also want to consider your company's financial strength. Will it last long enough to pay my pension? and what if it goes bankrupt - will there be any backup and security for your payouts? Is this another reason to sell my pension? Bottom line: when asking yourself, "should I sell my pension," you should carefully take into consideration all the above points and weigh the costs and benefits of each option. Remember, once you sell your pension, it will be too late to reconsider. 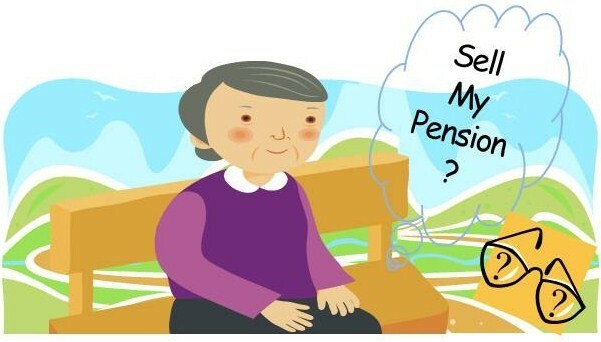 Please express your opinion here and let other folks know what you thing about this question that many other find themselves asking when offered to sell their retirement plan to their employer: is it wise to sell my pension, or is it advised to go on with my regular pension plan and not sell my pension payments? Sell My Pension, Or Not - Your Take?